Portland, Oregon is the largest city in the state and the third largest city in the Pacific Northwest. It's about 70 miles from the Pacific Coast and it's known for its impressive outdoor surroundings, its many microbreweries, and its eco-friendly urban planning practices. 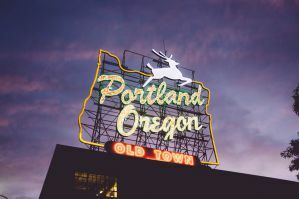 Portland has a handful of good hostels that are fun and eclectic places to stay where you can meet other young travelers and backpackers. Hostels have a social vibe and it's not hard to make a few friends during your time here. How much do hostels in Portland cost? A good hostel for solo travellers and backpackers. Travelers' House is a good hostel option for backpackers in Portland, Oregon. It is a relaxed place to stay with all kinds of amenities for guests. There's free wi-fi, laundry facilities, and a good security system. The hostel also has two different common areas where guests can hang out. There's also a full kitchen which many guests use to prepare their own meals. Biking is an excellent way to explore the city and there are bike rentals available through the hostel for a reasonable price. The hostel is also conveniently close to the lightrail and the Number 4 TriMet bus and is also close to many great restaurants, cafes, and music venues. Whatever your purpose for visiting Portland, this hostel will likely make a convenient base. The hostel has four and eight bed dorms to choose from. The rooms and bathrooms are kept very clean and the staff are super helpful. The hostel attracts a young and mellow crowd and it's easy to meet other travelers while you're here. It will quickly feel like your home away from home and you won't be disappointed in your decision to stay here. A good hostel for backpackers and solo travellers. 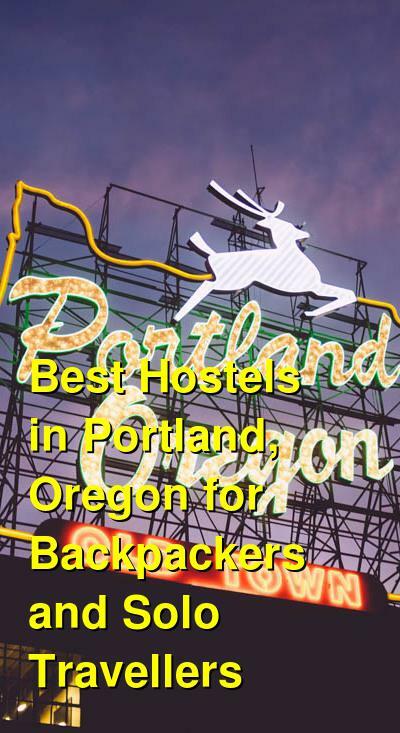 HI Portland Northwest is one of the most popular hostels in Portland, Oregon. It's centrally located in the historic neighborhood of Northwest/Nob Hill and is near many great restaurants, cafes, shops, bars, theaters, and art galleries. The area also has a good nightlife scene. It's convenient if you want to walk downtown and is also close to Washington Park, Powell's City of Books, the farmers market, and the Pearl Arts District. The hostel is also not far from the Amtrak and Greyhound stations and the airport MAX train stops just five blocks away. This hostel is split between two historic buildings. The main building, the Elliston, was built in 1889 and is a historic landmark in the city. It's also on the national register of historic places. This hostel has a lot of character. There is an outdoor garden and courtyard area with a barbecue. There's also a kitchen and dining room where guests can enjoy meals they prepare themselves. There's a coffee bar and several common areas, as well as laundry facilities, public computers, and free luggage storage. If you have a car, parking is available for $2 a day. This hostel also hosts a number of events for guests. There are regular movie nights, free walking tours of the city, and pub crawls. You can also sign up for tours to Mount St. Helens Volcano, Columbia River Gorge Waterfalls, and the Oregon Coast. During the summer months there are free weekly music concerts in nearby parks. This hostel has dorm rooms that sleep up to eight people. Male only, female only, and co-ed rooms are all available and each guest gets a security locker for their belongings. This is another popular hostel in Portland. It's located in a converted house that is in the Hawthorne neighborhood near much of Portland's famous music, art, and culinary scene's. It's near many unique restaurants and is surrounded by local shops. The hostel is just a short bike ride from the downtown area and there are also frequent buses that make the trip. This is a relaxed hostel where you can enjoy a group meal or barbecue. There's a large front porch where it's nice to relax and soak up the sights and sounds of the neighborhood. There's also a lounge where you can read a book or chat with other guests. During the summer, the hostel hosts open mic nights and outdoor movie screenings in the backyard. The hostel has a living garden roof top and an eco-friendly water collection system. They prioritize sustainability and green practices which you can see throughout the facilities. Guests can also enjoy a free breakfast of pancakes, cereal or oatmeal every morning. There are all the standard amenities available including bicycle rentals, a television room and more. The dorms sleep either six or eight people and male only, female only, and co-ed rooms are all available.